After a month or two of setting up and gathering some of the best music I could find from electronic heads around the North, the Dark Cake Netlabel is now live! Look around the site, and look out for many more releases coming soon from our artists, including physical products as well as more compilations and downloads featuring a diverse range of electronic experimentation. 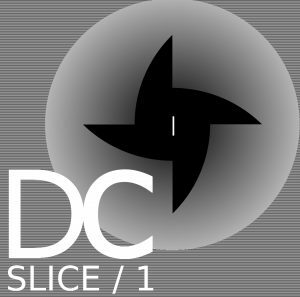 You can Download Slice 1 now for the very reasonable price of £2.50 to get a good audio overview of our sound. This has been a labour of love for me, and I think it’s important to stress that this is a self funded project, I’ve made this site to share great music and to help my mates out, the basic mission of Dark Cake is to find mutant and new music that can be hard to access through other channels and that is being made right now in the North West, and to provide a decent web platform for it. Any purchases you make on this site, give incentives to our artists to make more, might help them get some more equipment and software and just spur them onto greater creative pastures. The whole ethos of this venture is that this site serves both as a digital archive and an e-commerce platform, and I plan on being as active as possible in promoting and trying to engage people in the music we have made. Expect as much new media and digital content as we can throw in your direction, as well as engaging tunes that you can bob you head to and stroke your beard (or chin) to in the coming new year. Special thanks to Ben Nield for being a good one to bounce ideas off as always and for the other other guys involved in Dark Cake like Matt Nin who have provided me with good tunes. Here’s to a fine slice of Dark Cake and many more to come. If you have any technical issues with the site, let me know and I’ll look into them ASAP, the e-commerce platform should be working fine, and be accepting Paypal payments . This will be improved as time goes on to accept further transaction types, but for now we are keeping it simple. You can contact me at darkcakeslices@gmail.com and I’ll investigate ASAP if you have any problems.